grow into into pretty flowers. 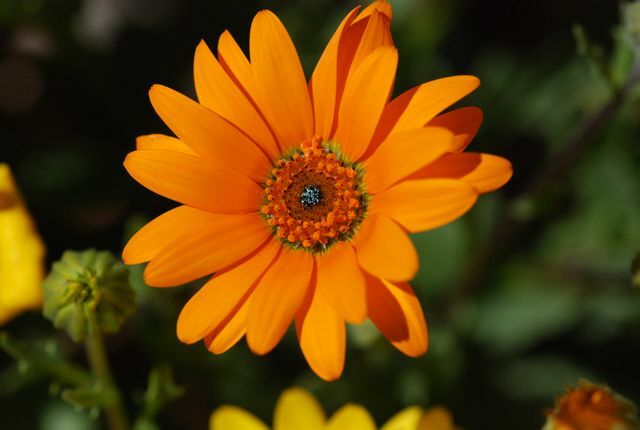 African daisies, Dimorphotheca aurantiaca, are annuals that were originally from South Africa. but are now grown throughout the Southwest. 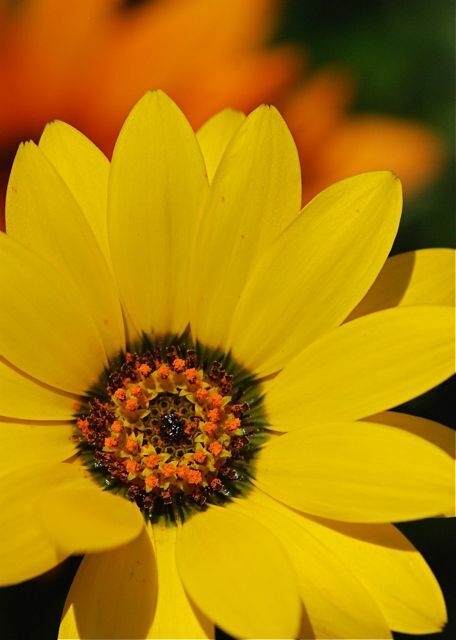 The flowers vary in color from orange to yellow to almost white. They are very easy to grow, and once you plant them, they readily reseed and spread. And that's the problem. If African daisies escape from urban landscapes, they can grow wild, crowding out native plants and interfering with natural habitats. We are slowly converting our patch into native species like desert marigolds, poppies and penstemons by pulling the flowers before they set seed. It is a tedious process, but we are making progress. 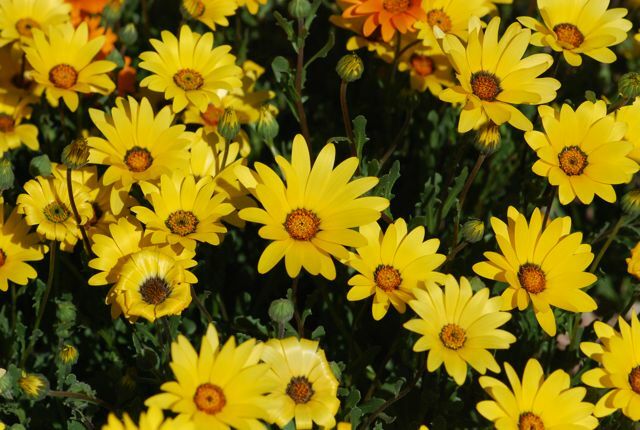 By the way, there are also a couple of other species of flowers that go by the common name African daisy. 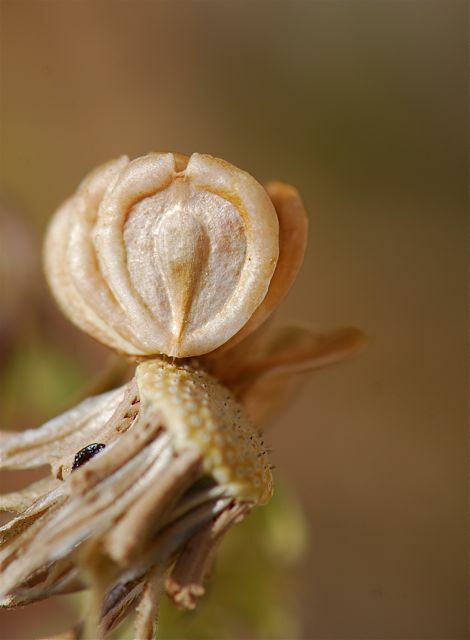 For more information about this species, see the Arizona Master Gardener website. Have you ever seen an African daisy?